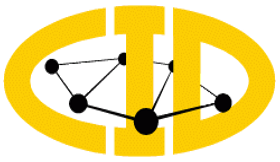 We kindly invite all participants to contribute to the Proceedings of CID Workshops, published as special volumes of Discussiones Mathematicae Graph Theory journal. Proceedings submission deadline is February 15, 2014. All papers will be refereed according the usual standards of DMGT journal. Simultaneous submission of papers to other journals or proceedings is not allowed. Please visit the official DMGT journal website for further details. If you need any further assistance concerning your submission contact Danuta Michalak, Managing Editor of DMGT.